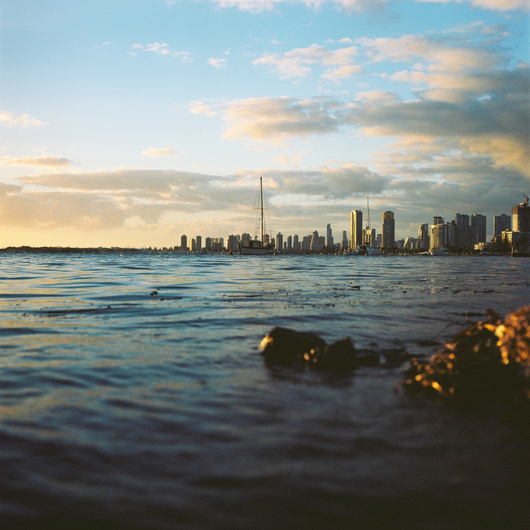 Shot handheld with Hasselblad 553ELX & 80mm lens with LP filter, this is Kodak Ektar 100, developed and scanned. I am not really sure why I like this so much but I do. Early morning photo across the Broadwater, Gold Coast Australia. Super happy with the Kodak Ektar film saturation and fine grain producing good shadows. Obviously many people would digitally manipulate this photo more, I have lifted the highlights +20, shadows +15 and saturation +5.